The value of cleanliness in your building should not be underrated. Humans are naturally repulsed by dirt and unclean toilets have been proven to affect staff morale. Clean environments keep employees happy and happy employees are productive ones. It is also important to remember that it is not just employees that may use your washroom. 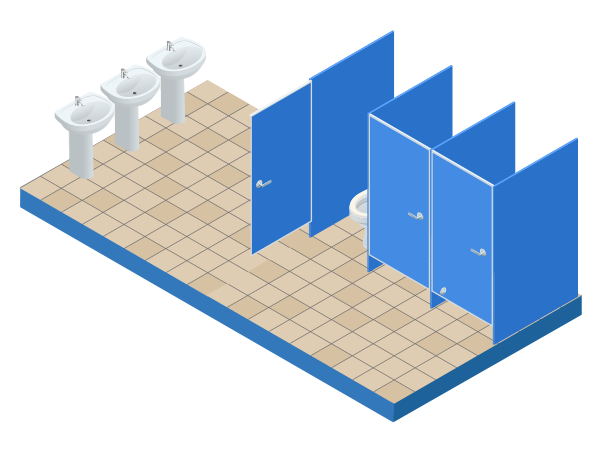 Customers and other important visitors might be left with a negative impression of your company if presented with unclean washrooms. Using anonymous IoT sensors installed inside or outside washrooms to measure usage can improve cleanliness and reduce costs as cleaning is carried out as and when required.